Selling homes is quite similar to selling any other product, if your product is good, it speaks for itself. As a realtor, my job is multifunctional. First, I must help sellers find the BEST version of their home so that I can then create the marketing that will sell that best version. My focus is on strong professional photos and video, an engaging listing description, ensuring a correct market price and utilizing a vast reach via websites and social media. Take a look around your house and assess what you love and what you hate, it is likely that potential buyers will feel the same way. If there are maintenance issues that must be handled this is the time to do it. And, if there are simple updates that you can complete that will bring a return on your investment, do them as well. Don’t overspend or be too particular in your choices, remember you are selling and must appeal to a broad range of people. A simple fix often comes in changing paint to a more consistent tone throughout the home. Remember when choosing the color to take into account the features of the home such as the cabinets, countertops and flooring and ensure it compliments what is already in place. Marie Kondo has made quite a splash on American society recently with her Netflix hit “Tidying Up” and it may be time for you to sit down and watch. More often than not we accumulate things that fill our homes to the brim, using every available surface and storage space. Buyers will notice if a home is cluttered and it can have an effect on their choice to buy. One of the top concerns to buyers is storage space! Why not get a jump on removing items you may not use anymore or want, as it will help you present a better product and eliminate items to move. While you are at it, begin to remove personalized items and family photographs. 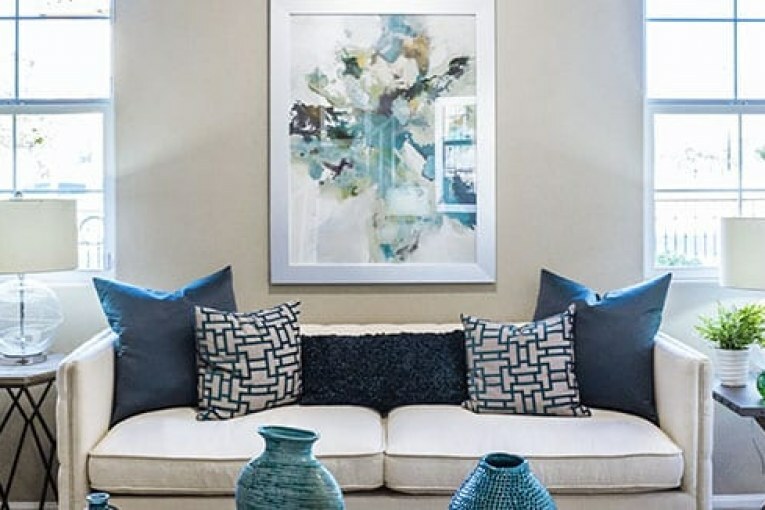 Making the home less about “you” will help potential buyers to visualize the home as theirs. First impressions matter so don’t skip on the curb appeal! Power washing, cut grass, fresh mulch and some colorful flowers can go a long way. When a home looks dingy and poorly maintained from the outside, it will immediately sour the opinion of what may be happening on the inside. A clean home that smells great is a must when selling. Put a cleaning schedule in place and make sure to keep up with it. The more consistently clean you keep the home, the less stress you will have when a showing request comes in. If you have pets, make sure to put them on a more regular bathing schedule. Fido may be your best friend, but his smell will not help you sell! Try to stay away from heavy perfume overwhelming scents that make it seem like you are covering up – think fresh and light. My favorite is a simple wax warmer with Gardenia scent. Next : Are You Ready for Some Football?